Bathrooms are used often in every house, so it’s important to remodel them anywhere between 10 to 15 years. A bathroom remodel is an excellent home improvement project to invest in because they can greatly improve the value of the house. Remodeling the bathroom can involve simply replacing the wooden vanity with granite to larger undertakings such as replacing the shower. It’s very risky to perform large remodeling projects without any experience as it can lead to damaging pipes, wires, or even the foundation. 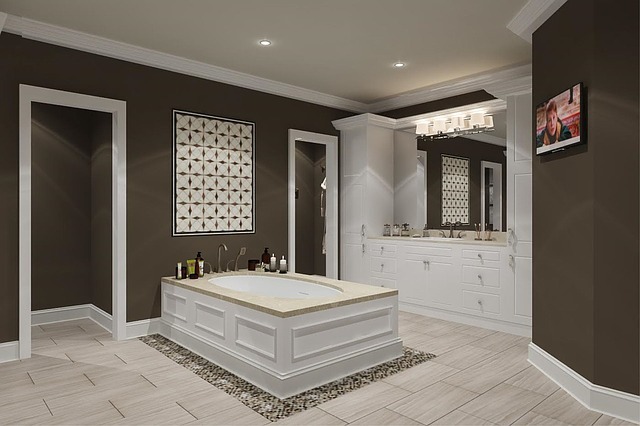 A general contractor that specializes in bathroom remodels would be able to accurately complete any remodels that would be too difficult for the average homeowner. Roofs typically last around 20 years. However, roofs are easily damaged in places where there’s very strong weather such as snow storms in Garden City, New York. These storms can perforate the roof and allow for water, snow, and other things to fall into the house and damage items. There have been remarkable advances in the technology behind roofing shingles, allowing them to better defend a house against nature. Replacing a roof is a massive home improvement project to undertake, but it yields great results. Homeowners will have nothing to fear with an updated roof. The backyard is a great space to use when having guests over. Backyard improvement projects that can vastly improve the space include decks, and pools. A deck creates a wonderful new space that can including outdoor seating as well as a full kitchen and bar. They’re great for entertaining guests or for throwing a birthday party. Pools are a wonderful addition to any house. While they do take away space from the actual backyard, pools provide a whole new place for family members to enjoy their home and relax on their time off. Other interesting home improvement projects to consider is a fire pit or even a treehouse for the kids. It can be tiring looking at the same color walls day in and day out. A great home improvement project to undertake that won’t break the bank is repainting the walls. To overcome the dull brown colored paint that sits on the walls is to update the color. Colors like blue and green invoke learning and thinking, so they’re great choices for a office space. Other colors like yellow and orange promote energy and fun, which might be great for a family room where everyone comes together to watch tv or play games together. White is also a great color since it gives off this clean feel to the house. This could work really well in a kitchen/ dining room space. There’s plenty of color combinations out there to explore and discover. While these four ideas are great for updating any house, there are plenty of other home improvement projects that will be a large improvement. When deciding on a home improvement project to undertake, it’s important to choose a general contracting company that will work tirelessly from start to finish. Storm Home Remodeling is a remarkable company with experience in home improvement projects ranging from kitchen remodeling to even heating and AC systems. To get a free quote call (516) 610-0420.